Simplify telecom spending with an accounting solution by Allnet Air. Do you find yourself facing outrageous phone bills? Many times, companies will face massive overcharges on their phone and internet expenses. Far too often, business will cough up hundreds, or even thousands, of dollars in extra charges every month. At Allnet, we work hard to ensure that our customers don’t have to endure these enormous costs. Our intelligent data optimization software acts as a traffic analysis monitor and reporting solution. It’s an advanced program that will eliminate billing errors, miscellaneous charges, and other costly expenses. There’s no reason why you should have to pay for something that you don’t use. Our certified experts will examine months of bills, call activity, and data use. We will track down the source of the problem and attack it before it has the chance to make it onto your next monthly statement. 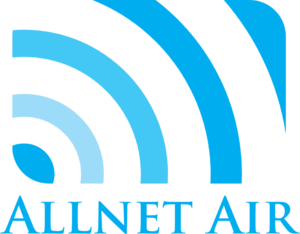 You can trust Allnet’s call reporting software to determine what your proper billing charges truly are. It’s not unusual to find an overcharge on your billing statement. Nowadays, several wireless plans will throttle usage to prevent overage charges, but this doesn’t stop companies from enduring additional costs. The wrong data plans can increase your bill by 15 to 25%. No one should have to suffer from these mistakes. Allnet has the solutions that will help prevent these lingering issues. Allnet’s optimization software will give you complete visibility over your wireless data usage. With the Allnet solution, management will get monthly reports which detail abusive data use and devices with zero usage which may be eliminated. No need to keep paying for a device that you no longer need. We’ll help you reduce your telecom wireless spend so you won’t have to worry about facing these problems down the road. Tired of overcharges and billing errors? Fortunately, Allnet Air will put a stop to these issues. With nearly 40 years of expertise, we have delivered exceptional solutions to cities across the map. As a leading AT&T Solution Provider, you can trust us to support you with an optimal wireless mobility solution.